Authors: ARMBRUSTER , W. S.; WEBSTER, G. L.
Authors: LEITE, Ângela M. C.; RANKIN, Judy M.
Title: Comparação anatômica entre folhas de um clone diplóide (IAN 873) e dois clones poliplóides (IAC 207, 222) de Hevea brasiliensis Muell. Arg. Authors: CHARLWOOD, J. D.; WILKES, J. T.
Authors: MARINHO, H. A.; ARKCOLL, D. B. Authors: AYRES, Ione; GUERRA, Rafael A. T.
Authors: JORDAN, C. F.; HEUVELDOP, J. Authors: SANTOS, D. M.; CRISI, B. M.
Authors: GALLIVAN, G. J.; BEST, R. C.
Authors: MUNTZ, W. R. A. 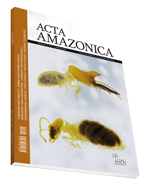 Authors: GOTTLIEB, O. R.; KOKETSU, M.; MAGALHÃES, M. T.; MAIA, J. G.; MENDES, P. H.; ROCHA, A. I. da; SILVA, M. L. da; WILBERG, V. C.
Authors: ARAÚJO FILHO, Nelson A. Authors: WERDER. U.; ALHANATI, Carlos E.
Authors: RODRIGUES, William A.; SILVA, Marlene F. da; SILVA, Algenir F. S. da; RIBEIRO, Maria de N. G.
Authors: RIBEIRO, Maria de N. G.
Authors: RESENDE, E. K.; CARVALHO, F. M.; CASTELO, F. P.; SOARES, M. G. M.; ALMEIDA, R. G. de; ANNIBAL, S. R. P.; BEST, R. C.; THATCHER, V. E.
Authors: CORRÊA, Antônio A. & CORRÊA, Cleusa M.
Authors: SILVA, Algenir F. S. da; HARRAQUIAN, M. A. de J. Authors: OVERAL, William L.; GORAYEB, Inocêncio de S.
Authors: NOVAES, F. C.; CUNHA, O. R.